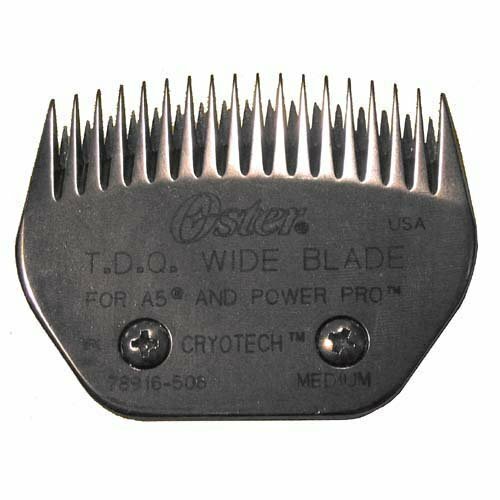 Oster (916-50) medium clipper blade. Cuts 1/8"/3.2mm. Fits TURBO A5 and Power Pro Clippers. Leaves the coat about the same length of a size 8 1/2 blade and is great to use on large shave-down matted breeds. Keep skin pulled tight to keep from cutting and tracking. The wider teeth on this blade allow for a quicker clip-down time.